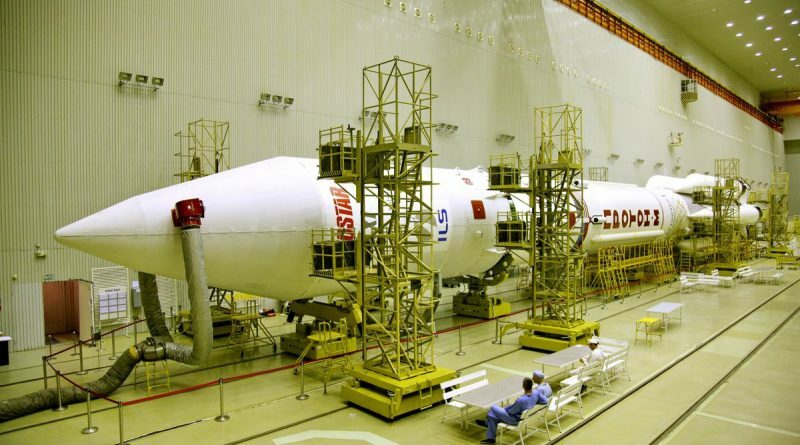 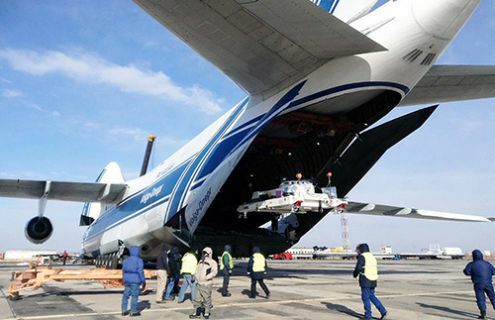 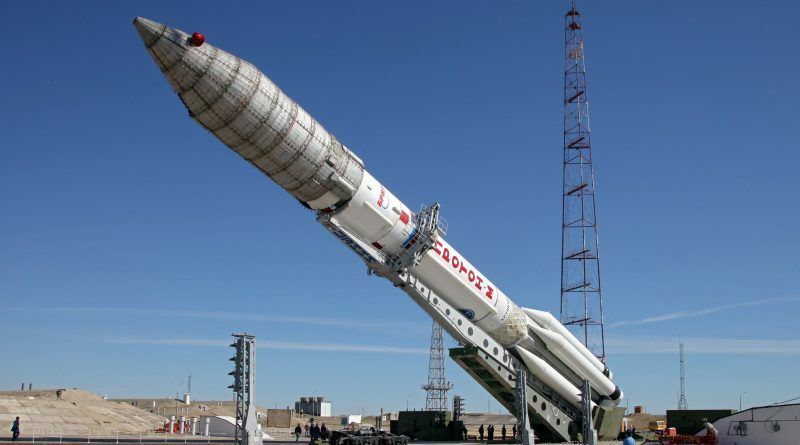 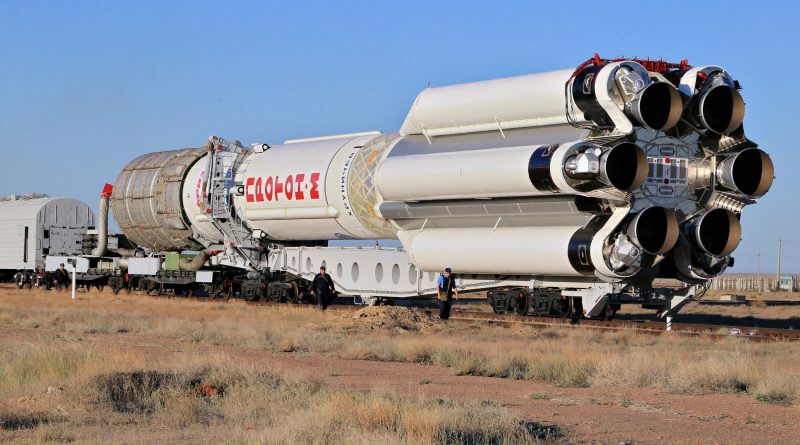 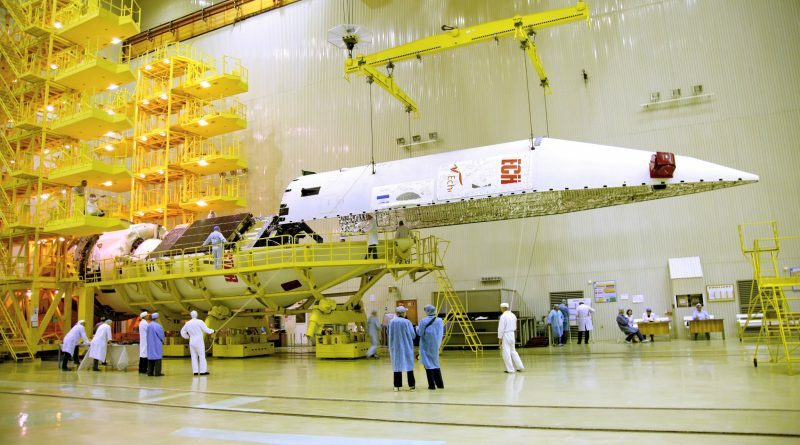 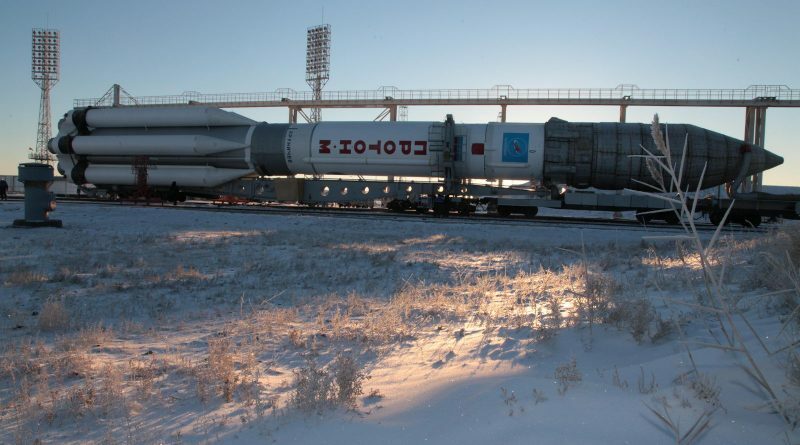 A Russian Proton Rocket is assembled at the Baikonur Cosmodrome for a long-awaited mission, coming almost a full year after the most recent launch of the heavy-lift vehicle. 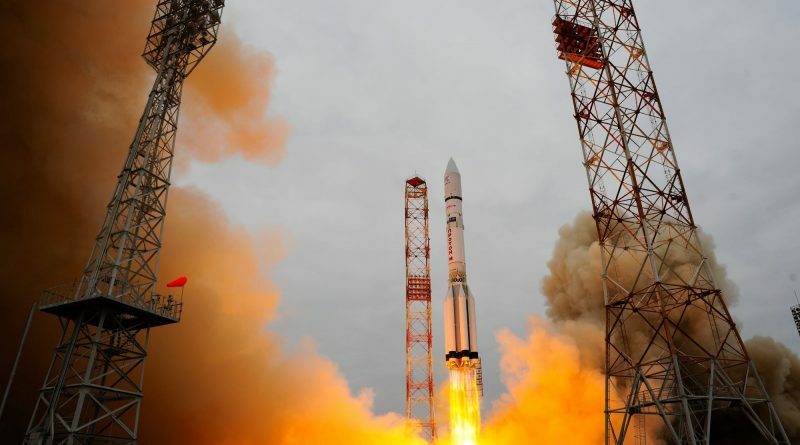 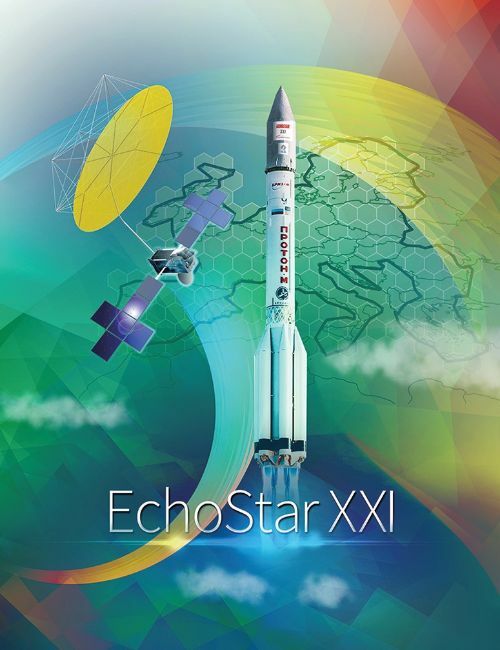 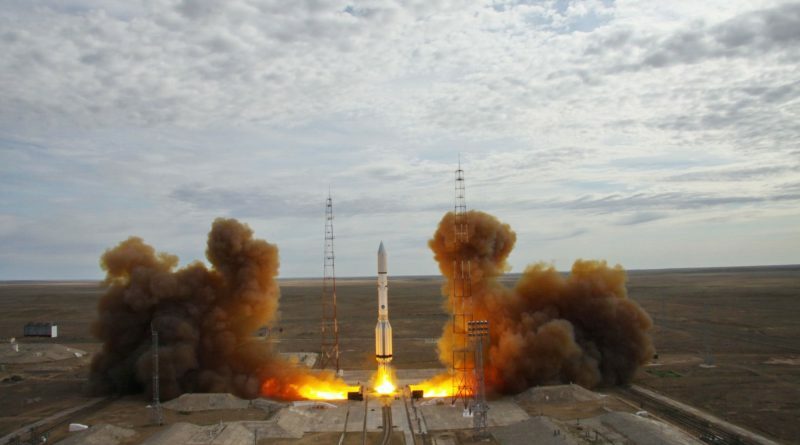 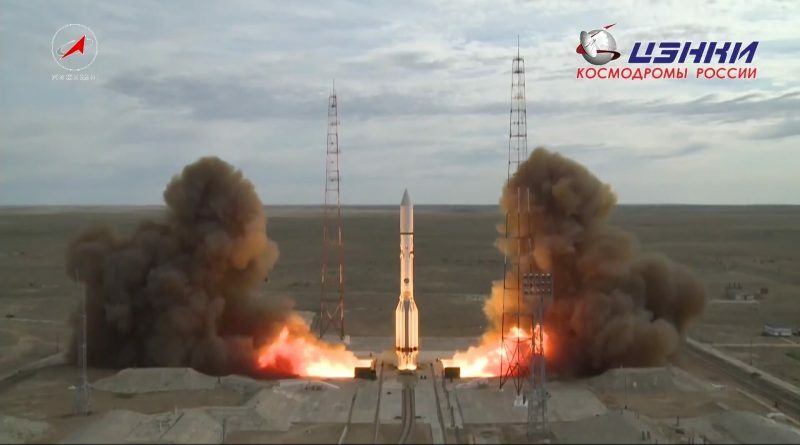 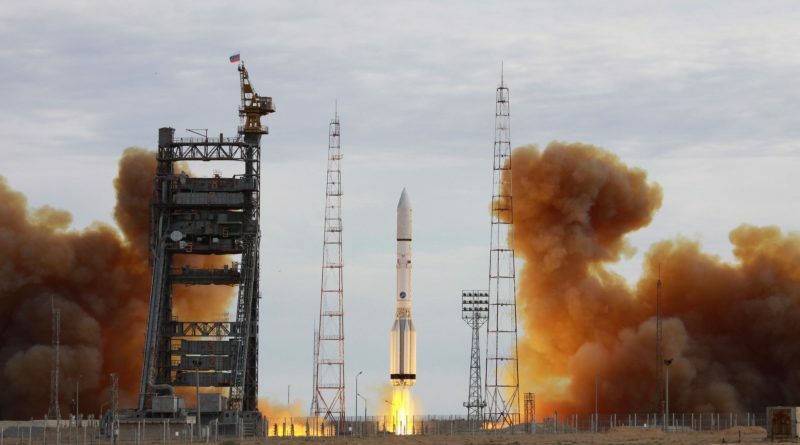 After being forced to stand down for half a year, technicians and engineers resume the Proton-M/EchoStar-21 launch campaign which entered an extended break in December when it became known the Proton’s upper stage engine used potentially flawed materials. 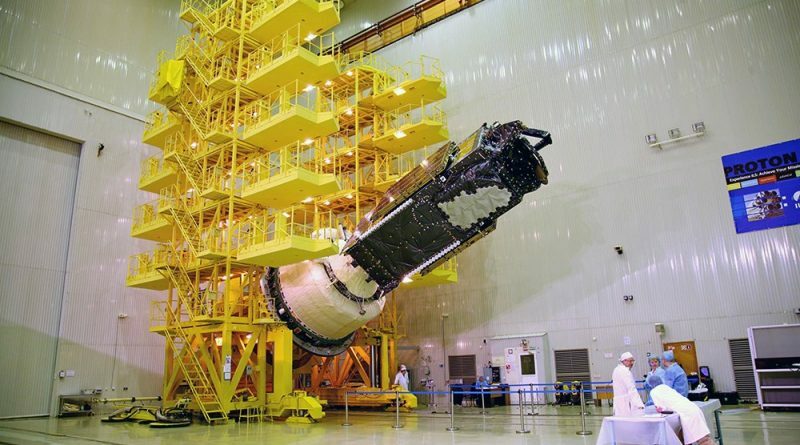 The EchoStar-21 satellite undergoes final pre-launch processing steps at the Baikonur Cosmodrome, being installed atop the Briz-M upper stage followed by encapsulation in the protective payload fairing and shipment to the Launcher Integration Facility.